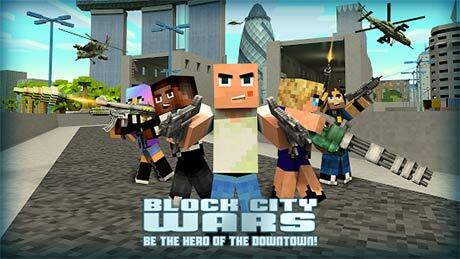 Block City Wars is a game that combines some elements of Minecraft and Grand Theft Auto V.
Welcome to the Block City! Welcome to the pixel world where the real war is going! 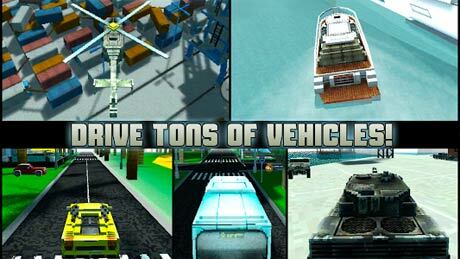 Complete impossible missions, drive cool cars, parkour, destroy enemies or just do what you wanna do! Check out 3D shooter in the great megalopolis with high skyscrapers, with military base and palm beach. 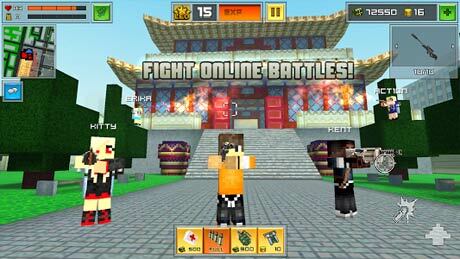 Play multiplayer mode with your friends or with anybody from anywhere! Become the hero of the downtown!